The Community Alliance will be sharing the results from our hard-working groups over the next few months to inform, inspire conversation and obtain input. We hope you will join us in discussing paths forward on governance, environment, infrastructure, health and microeconomics. At 7 p.m. on June 25 at the Lions Hall, an enthusiastic and committed group of Salt Springers, the Community Alliance’s Governance Working Group, will be leading a discussion about possible governance options.They have been working hard for the past six months to identify and analyze ways to improve governance within our current system. With over 600 years of experience, governance group members include a CAO and CEOs, current and former trustees, CRD alternate commissioners, a provincial politician, a federal party chair, a diplomat, consultants, city planners and city managers. Although far from done with their work, so far, their analysis of governance is thorough! Come listen and contribute to their evaluation framework and see how different possible alternatives compare to our status quo. This is a work in progress, so your input matters. It is important to note that the Salt Spring Community Alliance grew out of the incorporation referendum, and that the work by our governance group represents views of both those for and against incorporation. The goal of the alliance is to offer support to all members of the Salt Spring Island community to engage in an inclusive, balanced and respectful process where community values and issues can be addressed through discussion, information and research for the well-being of Salt Spring. Alliance developments to date include a governance presentation to the Islands Trust Programs Committee, which has been charged with reviewing service delivery throughout the Gulf Islands. This presentation was so well received that the governance group has been asked to provide significant support to the service delivery project. Our housing working group has also initiated information and discussion on housing, including a presentation on the impact of water issues for affordable housing. As a result of these meetings, it was agreed that provincial and federal policies need to change and that a good way to begin would be to get all local policy-makers in a room to address the complex issues stalling affordable housing on Salt Spring. A member of the governance group agreed to work to bring the players together. There was excitement about this project as well as working one-on-one throughout the community to better conserve one of our most precious resources — water. Our environment working group is looking into the role our official community plan can play in helping to achieve a greener island (from green building to an even more FireSmart Salt Spring). To hear more on this, come to our July meeting. Our infrastructure working group is looking into water, sewage systems and other key pressing issues. We expect to hear their insights at our August meeting. Microeconomics and the health working groups will take the spotlight in the fall. Doors for Monday’s meeting open at 6:30 p.m. and light refreshments will be offered. 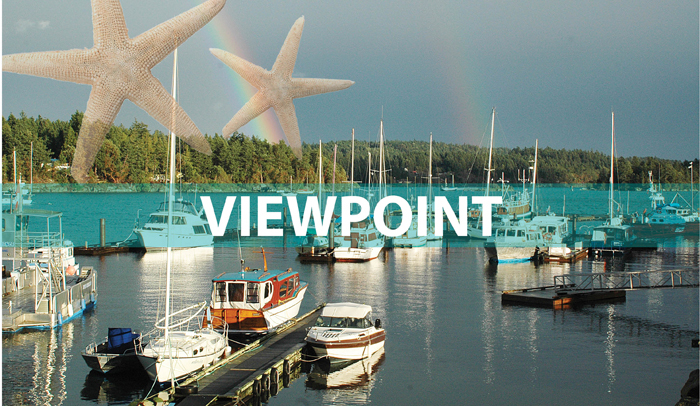 Together we can make Salt Spring even better! The writer is a founding member of the Salt Spring Community Alliance.